Our Model 190-NSP line shaft driven live roller conveyor is excellent for accumulation applications. Line shaft conveyors offer versatility on a single drive. Great for package and tote handling. Mounted underneath, positioned near the center of the conveyor. 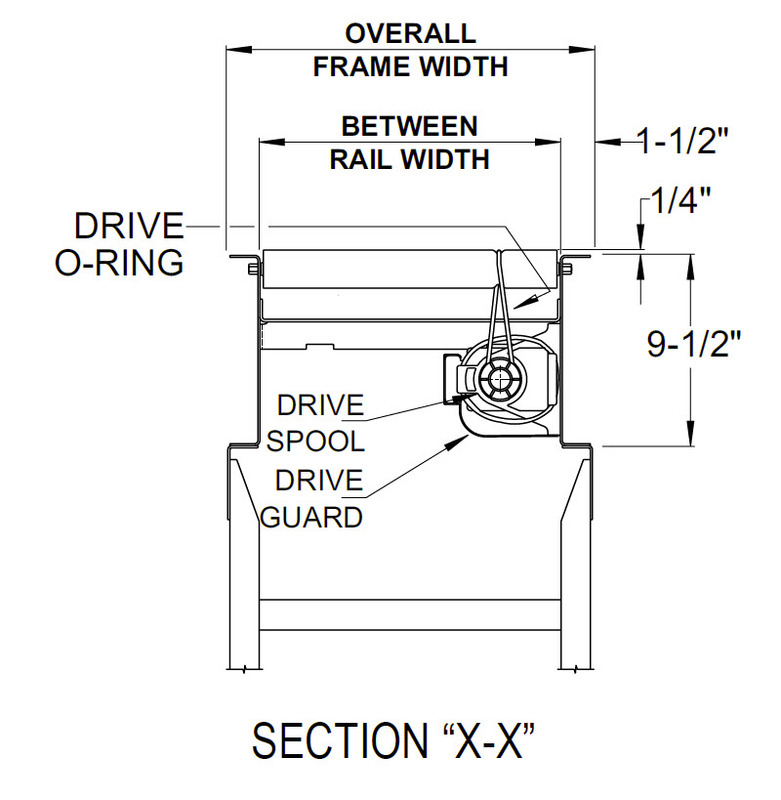 Please note that on conveyors less than 24″ wide, the motor extends beyond the frame. The chain guard is located on the left-hand side. 1″ diameter steel shaft extends the full length of the conveyor. Chain couplings are used at bed joints. The drive-shaft is on the left-hand side. Maximum load per powered roller is 15 pounds. (Maximum capacity is reduced for conveyed products with soft or irregular bottoms).